Grandchildren do with a smile what an entire bottle of medicine could never do! Such a wonderful picture. 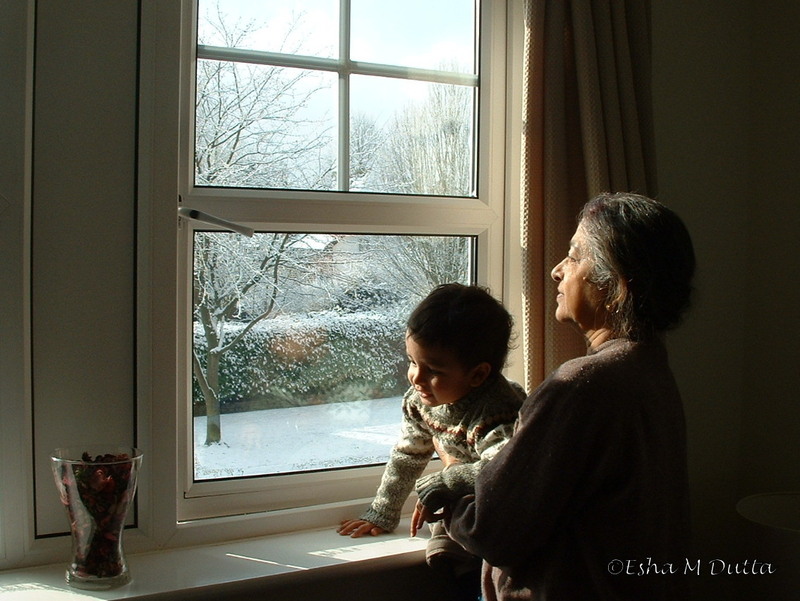 Well composed, and you feel the dignity of the grandmother as she enjoys her grandchild’s joy. The love of grandparents are so selfless bring a smile. Who needs chemical remedies when grand parents are there? I’m guessing this is your Mum or Mum-in-law. What a regal looking lady. And yes, grandchildren have a special way of bringing joy. My mum Corinne 🙂 This was taken in 2006 when Arjyo was all of two and mum was visiting us. She is, Corinne, although she happens to be one of the most humble beings you’d ever come across!